I ate at the Blue Dolphin in October when I was visiting my cousin. They have gluten free pasta as a substitute for any regular pasta dish for a nominal extra charge. I had rice penne in a garlic, black olive and zucchini sauce. The sauce was dull and they didn't cook the penne enough. However, I have hope because my cousins' sauce with shitake mushrooms and shrimp in garlic & olive oil was delicious. I was so happy to find an Italian restaurant where I could get gluten free pasta. If I lived there I would ask them to cook the penne longer and find a sauce that was good, which is why I am reviewing this place. And, the waitress was very helpful with my questions. Please note, when I just looked on-line, now 3 months later, they do not mention they have gluten free pasta so you might want to call and check to be sure they are still doing it. Please let us know if you've been to the Blue Dolphin and if you were able to get gluten free pasta. – Click here to read or post comments. Thanks for letting us know about getting gluten free pasta at the Blue dolphin. It's a reminder for us to call ahead and ask restaurants if they do have any gluten free foods, even if they don't have any on their menu. The Blue Dolphin is an Italian Restaurant but they serve a full menu of soups, salads, seafood and pasta. Their website claims to have opened 23 years ago and to serve the freshest original cuisine from Capri and the Amalfi Coast in a nice casual atmosphere. 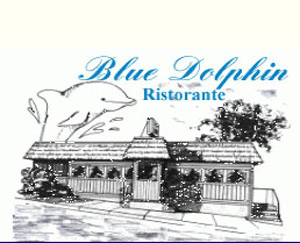 You can check The Blue Dolphin's website for their hours and to look at their cool online menu. Restaurants With Gluten Free Pizza!